Looking for private in-home or in-studio Opera Voice lessons? Our Lithia Springs teachers are ready to get you started. Find your teacher today! There are many musical styles to learn to sing. I teach many styles. With proper technique you can sing in a variety of styles with ease. I am available to teach beginning opera voice. 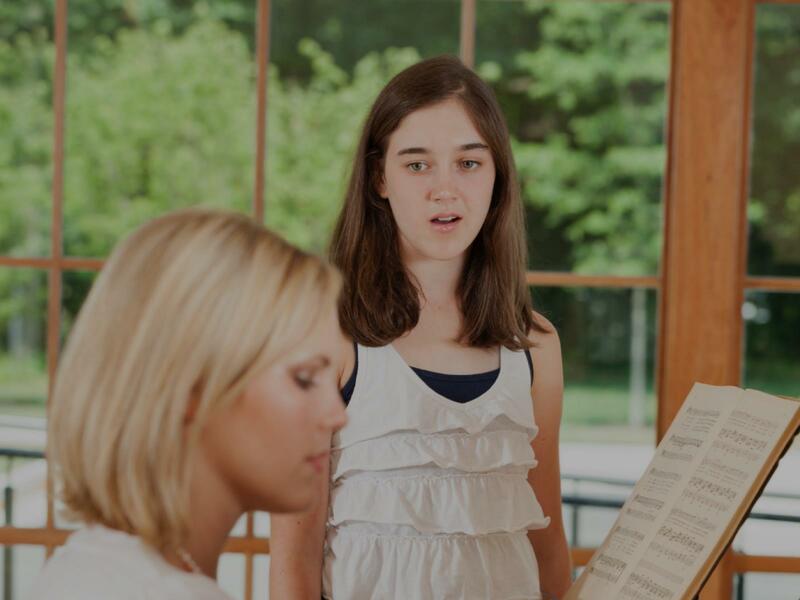 Lessons will be based on students refining songs that they already know, as well as, new songs that attribute to art songs, classical, baroke, romantic, opera pieces, and contemporary. Students will be required to purchase books. Using the traditional training I have received, I train my opera students to sing in Italian, German, French and Latin using standard opera repertoire. The unique vocal exercises and foundations of singing that are the operatic sound are developed to their fullest potential with each voice. I've been teaching voice and singing with local opera companies for almost 30 years. I've sung with the Atlanta Opera chorus and outreach program. I've sung roles for Capitol City opera as well as others. I specialize in opera and classical singing however, I also love musical theater. I believe all styles of singing should use strong breath control and vocal technique. I teach breathing for singing and speaking; vowel and tone production and resonance; relaxation ; interpretation and dramatic aspects of literature for performance and auditions. Many of my students have gone on to college with voice scholarships and continue singing as adults. There is only one way to discover if you have talent for singing Opera, is to take few lessons with an opera singer! Even if there's something missing for the big voice, there is always a great technique that comes with studying classical singing. I am very passionate about music in general, Piano was my first instrument. I studied piano since I was 6 years old, with some best teachers. I earned a BA in Voice Arts. I love teaching music to students of any age, have 10 years of experience in private lessons, singing and piano. I will always be teaching the right approach to music and musicality, and the technical basics, exercises and tricks to learn faster. Ana is great at combination technique and practice. Would highly recommend! Ana is patient and kind with great classical training; and super flexible which I think is a huge asset! I like to get to know you on an individual basis, and figure out what learning style is genuinely best for you based off of your goals. I want to make lessons light-hearted and fun, yet structured. I'm a recent grad from the top music school in the country, the Jacobs School of Music at Indiana University, where I received my BM in Vocal Performance. I have been performing since I was seven years old, and have studied opera for the past eight years. I have performed in dozens of shows over the past fourteen years, but some of my favorites include "The Bernstein Mass," "The Gondoliers," " Legally Blonde," "The Music Man," and "Peter Pan." c will help you stand out. Half of singing is learning to entertain and to genuinely enjoy yourself, so learning stage presence to ease your nerves is key! Whether you want to sing in your community theatre productions, sing in different styles, dream of being a professional, or just want to carry a tune- I can help! Let's enjoy music together!